We fix it right because we check it right first! At AAMCO Oceanside, CA we specialize in all manufacturers and makes of transmissions, including CVTs, Continuously Variable Transmissions. 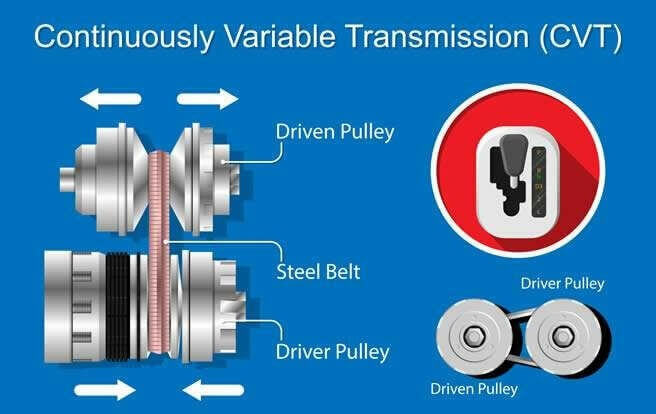 What is a CVT transmission? A CVT is an automatic transmission that can change seamlessly through a continuous range of effective gear ratios. At AAMCO, we specialize in all manufacturers and makes of transmissions, including CVTs, Continuously Variable Transmissions. A CVT may feel like it never shifts gears, and in fact, they never do. With a steel belt drive, steel pulleys and sophisticated electronics all lubricated by special fluids, this transmission utilizes variable ratio engineering to keep the engine running at the most efficient and powerful level possible, right in the power curve sweet spot all the time. CVT transmissions are most common in these makes: Nissan, Lexus, Chrysler, Mini Cooper, Subaru, Honda, Toyota, Mitsubishi and many other manufacturers’ smaller vehicles. Is a CVT better than automatic or manual? The biggest advantage of the CVT over automatic or manual units is its ability to provide power without shifting while driving up a hill, for example. 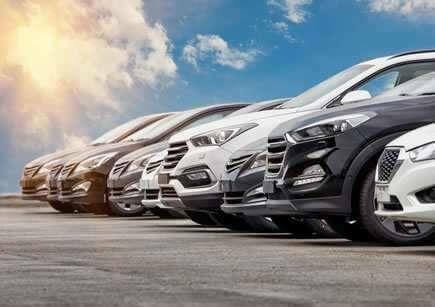 Because the CVT transmission operates without any physical gears, it has an infinite number of ratios, making it the most fuel-efficient technology. How do I know if I have a problem with my CVT Transmission? Dirty or Low Transmission Fluid - Transmission fluid used well beyond the recommended maintenance interval. Incorrect Fluid Used - Only go to a Service provider that knows the needs and requirements of your CVT transmission. Overheating Transmission - Due to clogged coolers and/or old fluid. Valve Body wear - Due to lack of fluid maintenance. The above lubrication issues may trigger a Warning Light or Check Engine Light – this could be a transmission problem. The most important thing you can do to maintain the health of a CVT is to take care of the transmission fluid. We recommend following your vehicle manufacturer’s recommendation on how often to do so. This information, along with the type of fluid most appropriate for your vehicle, will be in the owner’s manual. At AAMCO, our qualified, highly experienced Technicians specialize in diagnosing and repairing CVT transmissions. AAMCO has been in business for over 50 years and is the trusted name in all types of transmissions, maintenance and complex repair. If you're experiencing problems or are due for regular maintenance and want to take care of it before you have a problem, call now or stop by AAMCO Oceanside, CA today.